As Goku journeys back in time he stumbles into the greatest martial arts master of the period. 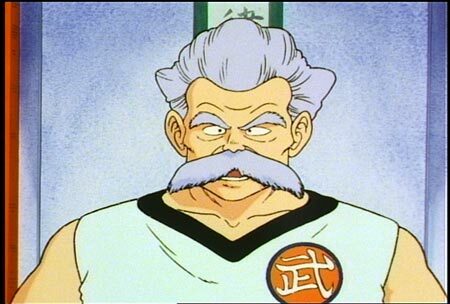 In fact, Master Mutaito has two pupils Goku knows very well…Master Roshi and Master Shen! Mutaito recognizes the talent the young boy possesses and agrees to share a bit of his enormous bank of knowledge. But are the Master’s techniques too advanced for even Goku to learn?